How Do I Hook up My Washing Machine? 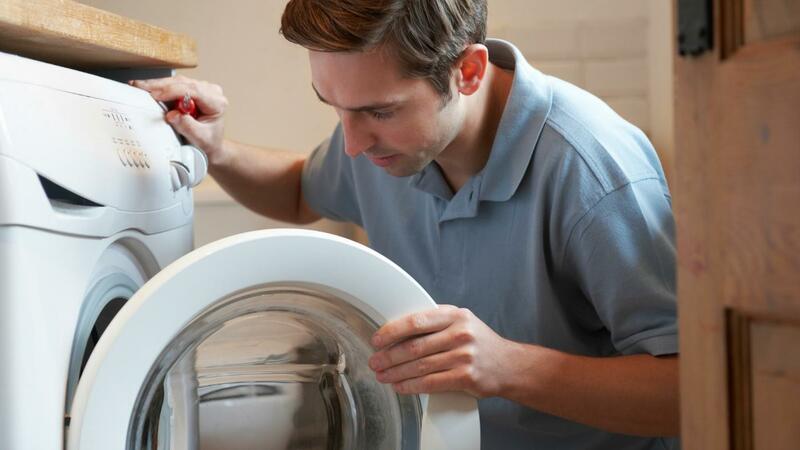 To connect a washing machine, it is necessary to connect the drain and water hoses to the connections in the home. The process takes just a few minutes and requires basic tools, such as a flat screwdriver. Standard washing machine connections include a drain line and a hot and cold water spigot. The connections are typically located in a slightly recessed panel. The drain hose is a wide section of hose that may have a clamp near the opening. Place the hose in the drain connection, and clamp the hose into place. Locate the two water hoses on the back of the washing machine, and connect them to the hot and cold water spigots. If the spigot knobs are different colors, the red knob is typically the hot water source for the washing machine. The water lines usually twist onto the spigot and can be tightened with a clamp on some washing machine models. Run the washing machine to check for leaks, and tighten the connections if necessary. Check the water temperature to ensure the hot water hose is connected to the hot water spigot. How Do I Connect a Washing Machine? How Can I Move My Washing Machine? How Much Is a Top Brand Washing Machine?